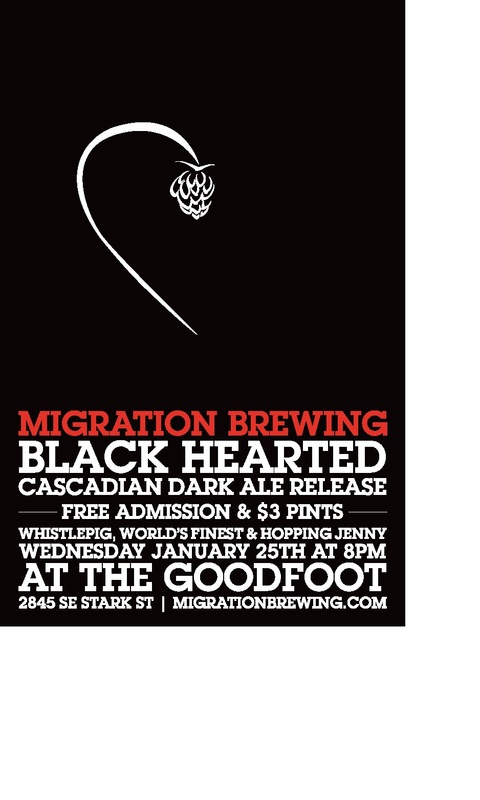 February 15th 7PM: Celebrate the 1st installment of Migration's 2-year anniversary at the Horse Brass Pub. Join Migration as the Horse Brass celebrates their anniversary with limited release beers pouring on nitro, cask, and draught. 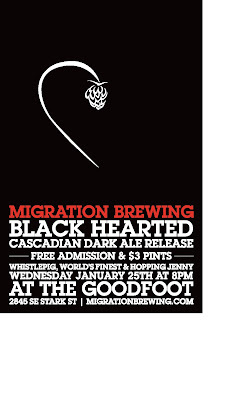 This is your chance at a sneak peak of the new beers Migration will be releasing on Feb. 18th at 2828 NE Glisan. February 18th 12PM: 2 Years Young…Migration will be hosting live bands throughout the day, will have a limited run of 22oz. bottles. Also released for the anniversary will be the 2-year anniversary Double IPA (95IBU's 9%ABV). As well as their Coffee IPA, which holds the color of an IPA yet the caffeine of an 1/8 a cup of cold press coffee. So don’t forget to hop on the Zwicklemania bus and stop by to help celebrate 2 years young. February 25th 8PM: Beer Pong Tournament consisting of 2-person team, $20 buy in per team and the winner takes all. Throughout the tournament Migration will be giving away plenty of swag throughout the match. Thursday’s: Boulder at either of “The Circuit’s” gyms and enjoy HH beer and food and climbing movies all night. Sunday’s: We are offering $8.00 growler fills all day on Sunday’s, as well as Whistlepig string band will now be playing every Sunday from 7 to 9."